Amwaj Islands, Kingdom of Bahrain, 31 October 2017: Committed in its vision to promote and foster the global Islamic Banking Industry, the 24th World Islamic Banking Conference will continue its efforts to enhance the performance and quality of key Islamic financial institutions by means of the 3rd WIBC Leaderboard. Introduced in 2015, the WIBC Leaderboard is a first-of-its-kind comprehensive assessment tool that acts as an innovative benchmark to help Islamic financial institutions gauge and assess their performance in comparison to their core competitors. 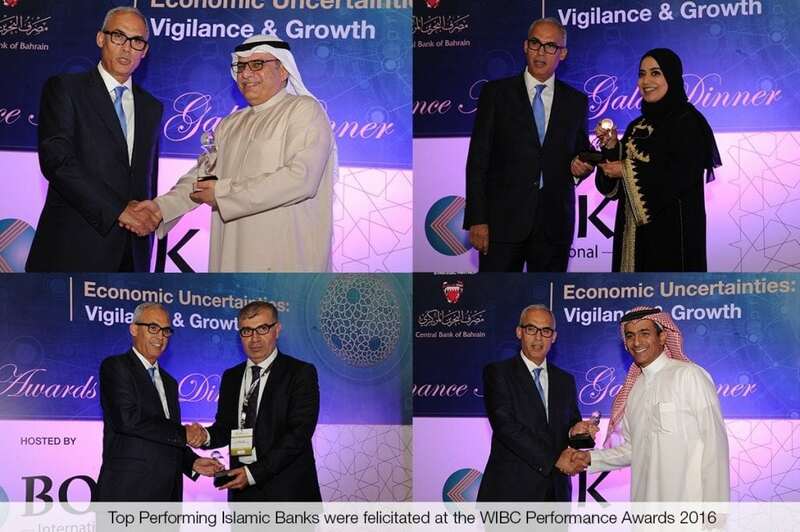 The WIBC Leaderboard provides industry participants with dynamic and visual rankings of Islamic banks as compared to their peers at the global, regional and national levels, based on various robust financial and governance metrics. These metrics comprise: Financial Stability (Total Capital and Tier 1 Capital Ratios, Loan-Loss Reserves (LLR) to Gross Loans Ratio, Loan-Loss Reserves (LLR) to Non-Performing Loans (NPL) Ratio, Non-Performing Loans (NPL) to Gross Loans); Financial Performance (Return on Average Assets (ROAA), Return on Average Equity (ROAE), Cost-to-Income Ratio (CIR), Assets Growth) and Governance and Social Responsibility (Financial Disclosure Index, CSR Disclosure). The data employed in creating the assessment framework has been sourced from the ICD Thomson Reuters Islamic Finance Development Indicator (IFDI) and Orbis Bank Focus. Top performing Islamic financial institutions will be vying for 3 categories of the awards: One Global Award, Four Regional Awards for each of the following world regions: GCC, South East Asia, South Asia and Levant & Twelve Country Awards for each of the following countries: Bahrain, Bangladesh, Egypt, Indonesia, Jordan, Kuwait, Malaysia, Oman, Pakistan, Turkey, UAE and Saudi Arabia. Currently, top performing Islamic banks vying for the Global Award include: Boubyan Bank (Kuwait); Alizz Islamic Bank (Oman); Al Rajhi Bank (Saudi Arabia); Bank Aljazira (Saudi Arabia); Social Islami Bank (Bangladesh); Meezan Bank Limited (Pakistan); Maybank Islamic Berhad (Malaysia); Kuwait International Bank (Kuwait) and Alinma Bank (Saudi Arabia). Introduced as part of the 2nd WIBC Leaderboard, The CSR Award (Corporate Social Responsibility) will also be a key award constituting this year’s WIBC Performance Awards, the scores of which will be aggregated as per the CSR Index and the Islamic Finance Development Indicator (IFDI). The Governance and Social Responsibility variables are extracted from the Thomson Reuters database. Confirmed partners at WIBC 2017 so far include: Kuwait Finance House (KFH), Khaleeji Commercial Bank (KHCB), Bahrain Islamic Bank (BISB), Al Salam Bank -Bahrain, Ibdar Bank, Bank ABC Islamic, Bank of Khartoum (BOK) International, Boubyan Bank, Avaya, Wahed Invest, Alvarez & Marsal, Al Baraka Banking Group, Ithmaar Bank, Thomson Reuters, Path Solutions, Luxembourg for Finance (LFF), Baker McKenzie, DARKTRACE, Eiger Trading Advisors Ltd, The Benefit Company B.S.C, G4S, Department for International Trade – British Embassy Bahrain , DDCAP, Deloitte, Fitch Ratings, Crestbridge Bahrain and Bahrain Institute of Banking & Finance (BIBF). Based on a strategic partnership with the Central Bank of Bahrain, the 24th WIBC will take place on December 4th, 5th & 6th at the ART Rotana Hotel in Amwaj Islands, Kingdom of Bahrain. The theme for the 24th WIBC – “Drivers of Economic Growth & Risks: Policymakers & Regulators”, is in line with the conference’s steady vision to serve as a compass for the global Islamic finance and banking industry, and is expected to draw participation from over 1300 global industry leaders, policy makers, innovators and stakeholders, all focused on generating breakthrough insights that help navigate through the complexities of the global financial system.